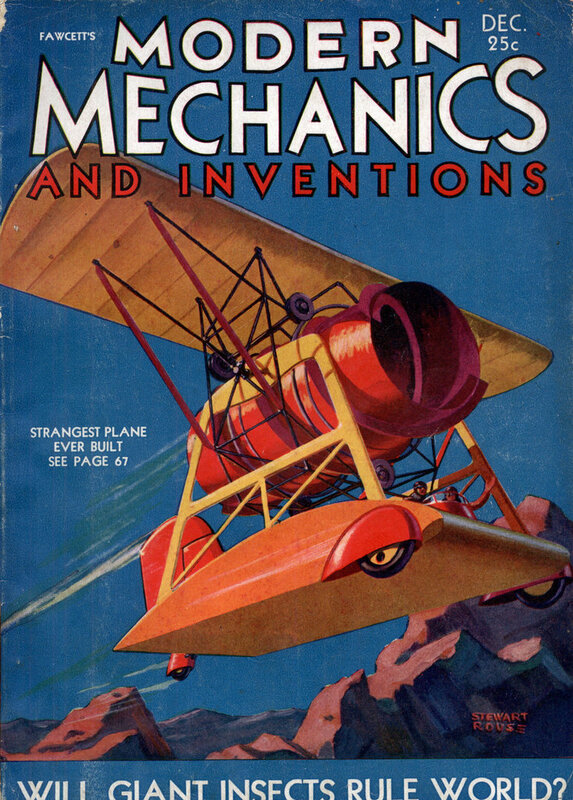 Now that’s a niche product. 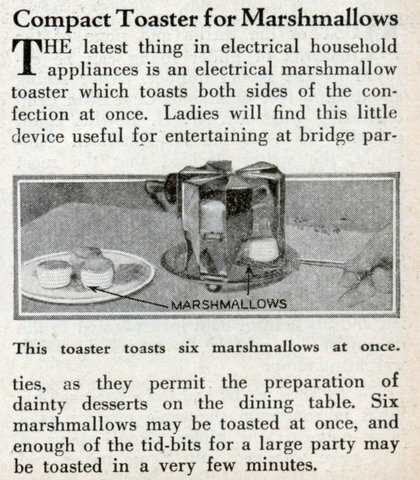 THE latest thing in electrical household appliances is an electrical marshmallow toaster which toasts both sides of the confection at once. 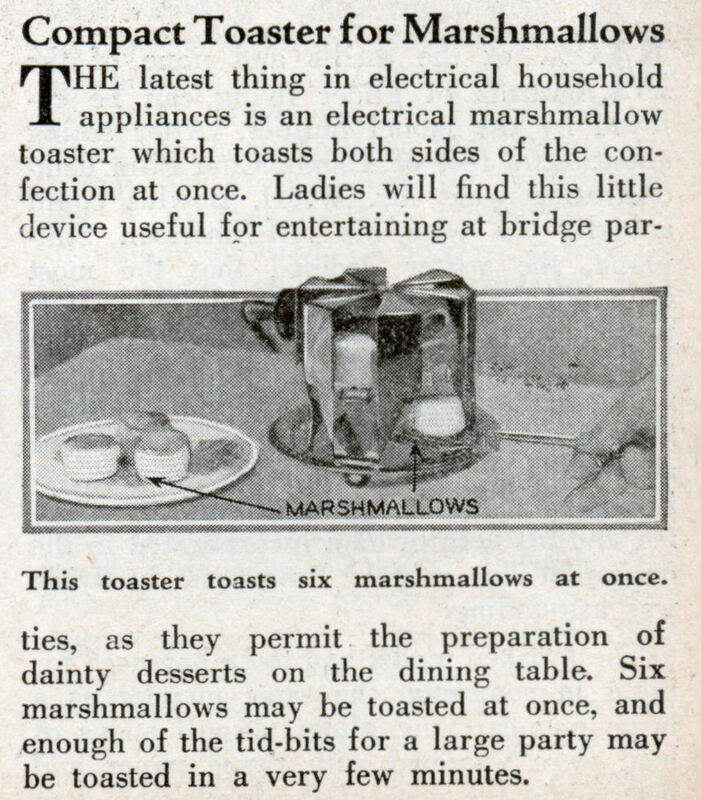 Ladies will find this little device useful for entertaining at bridge parties, as they permit the preparation of dainty desserts on the dining table. Six marshmallows may be toasted at once, and enough of the tid-bits for a large party may be toasted in a very few minutes. Just what Alton Brown would call a “uni-tasker”. A uni-tasker perhaps but I can see a certain demented practicality here…think smores. If ya simply gotta have them in the pre-microwave-oven days this would have been a practical device. Were it me, though, I’d have just toasted them over a gas stove.